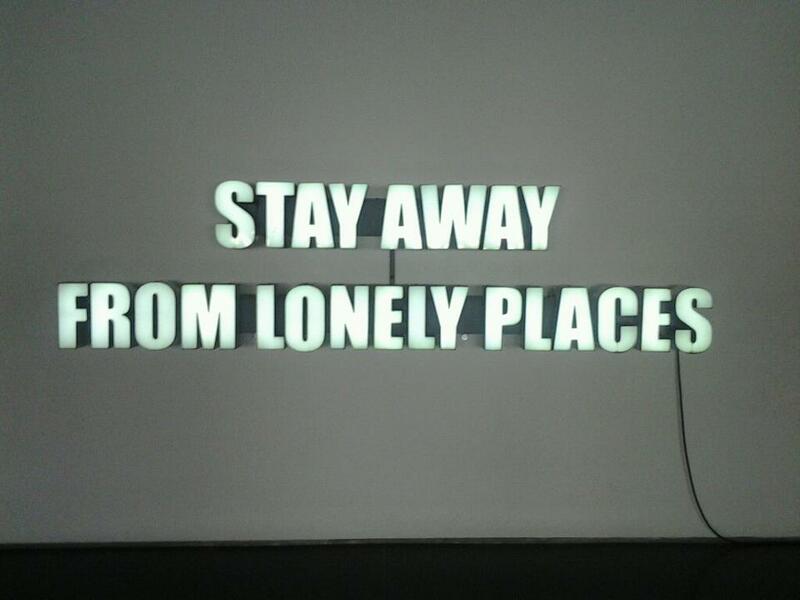 Ron Terada, Stay Away From Lonely Places, 2005. On view through Jan. 15 in Ron Terada: Being There at the Museum of Contemporary Art Chicago. I’m still coming up with the plans for my next move after Chicago, which I leave tomorrow. But visiting the Museum of Contemporary Art Chicago cheered me up immensely, as did getting just enough work to cover the cost of my extended stay here. The Jack paintings are Terada’s most recent and emotional work, centered on the dramatic and tragic life of Canadian-born artist, Jack Goldstein (1945-2003). Jack is a series of black canvases with white lettering, reproducing text from Goldstein’s memoir, Jack Goldstein and the CalArts Mafia. A prominent postconceptual artist, Goldstein committed suicide in 2003, leaving his memoir to tell the tale of his early success as an artist, his relationships in the art world, and his eventual downward spiral to drug addiction and poverty. 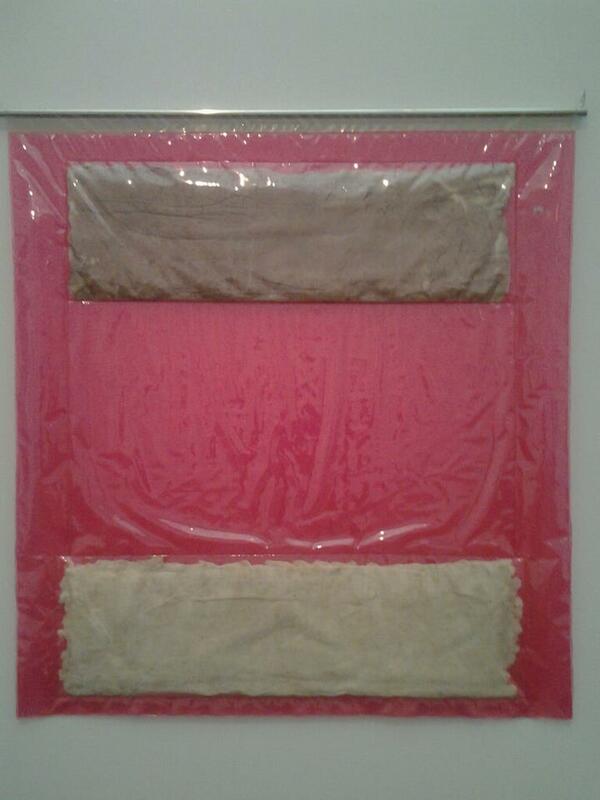 IT, Bagged Rothko, 1965. Inflated vinyl and cotton duck. … and his way of engaging the landscape was just what I needed to see and think about as I prepare to cross into the West. The above picture is one of a series of photos documenting a piece in which N.E. 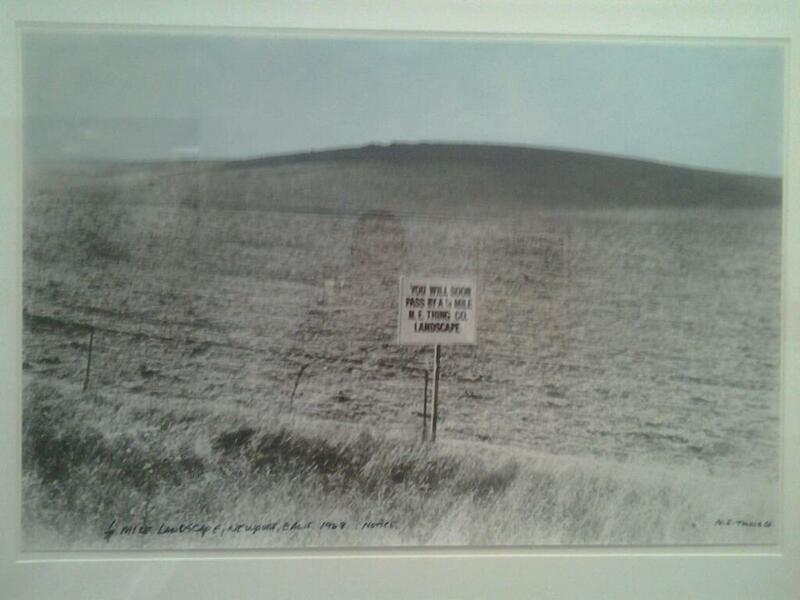 Thing Co. (a collaborative entity with Baxter’s then-wife, Ingrid) claimed a chunk of landscape as its own artwork. After you drove past the above sign giving notice you were about to “pass by an N.E. Thing Co. Landscape,” you would have passed a sign saying “Start viewing” before passing another sign a quarter-mile later saying — you guessed it — “Stop viewing.” I wish I’d been there, but the documentation, which also includes a map indicating the exact location of the intervention, is a hoot in its own right. If I’d seen this show in 2011, it surely would have displaced one of the exhibitions on this list.